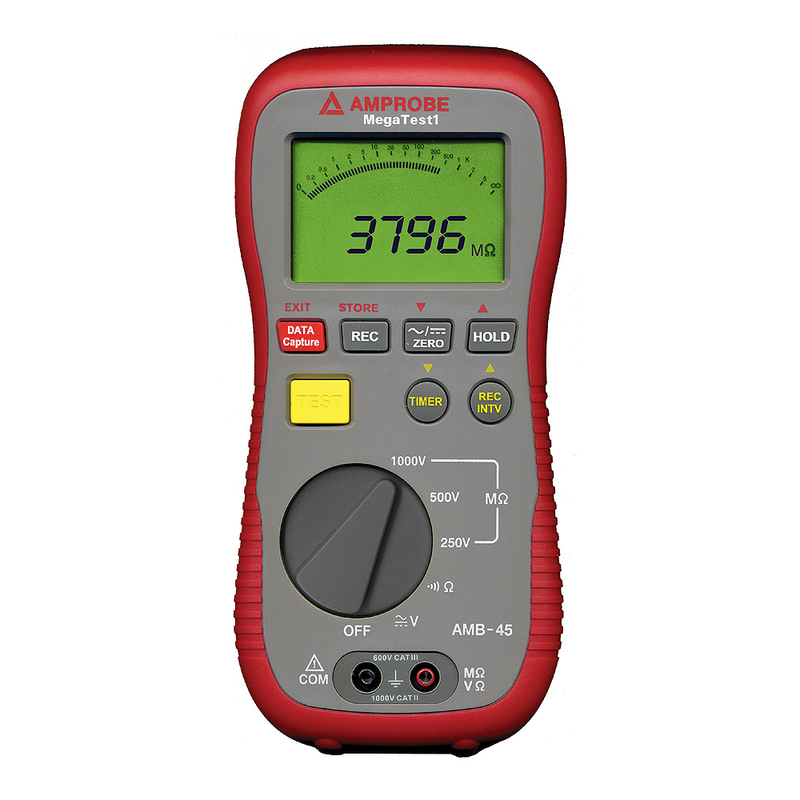 Megohmmeter and insulation resistance tester, Amprobe AMB-45 MEGATEST 1 does insulation resistance testing of wires, cables, transformers and electrical motors. 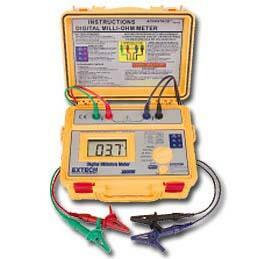 The ohm meter comes as a complete kit including test leads and PC software. 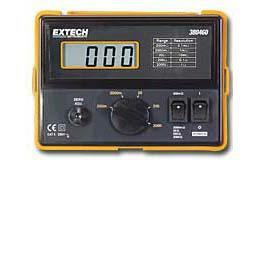 It has selectable test voltages: 250V, 500V and 1000V and programmable timer, etc. 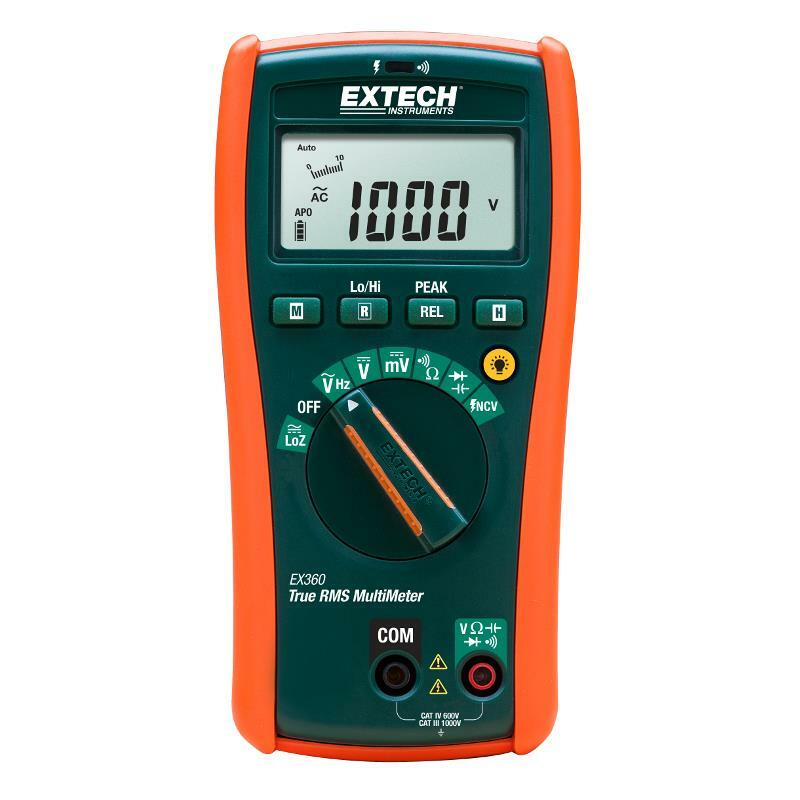 This small ohmmeter comes with data recording, despite a low price point. I needed it to document my work. Great small hand held megger. It looks, feels and is durable. It is senesitive to even test resistance of motor windings, something I do quite often. Two thumbs up. Great for troubleshooting motors. 3 stress test voltage levels and programmable timer help to move along fast. We had a problem with notes being lost. Now, this datalogging ohmmeter helps us to keep or records of pre and post service results well organized. I like that. The AMB-45 has met and exceeded my needs in a insulation testing meter. 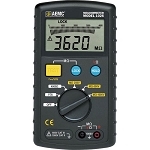 It has just the right features that compliment the testing that do on bus duct and switch gear.The high volt and low ohm features go hand in hand with this type of meter and the memory and record feature that lets me download to my computer is just brilliant . This meter comes with everything I needed and at a very reasonable price.Well Done Amprobe Co.